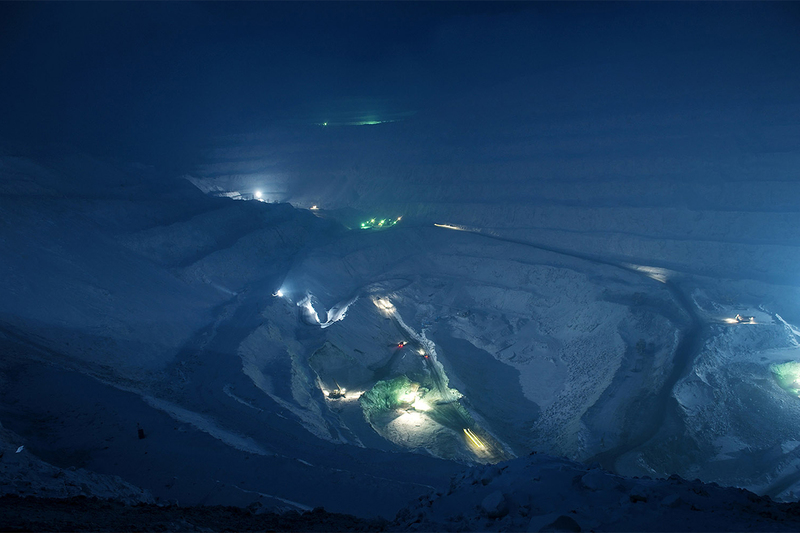 Norilsk, a mining city north of the Arctic Circle. 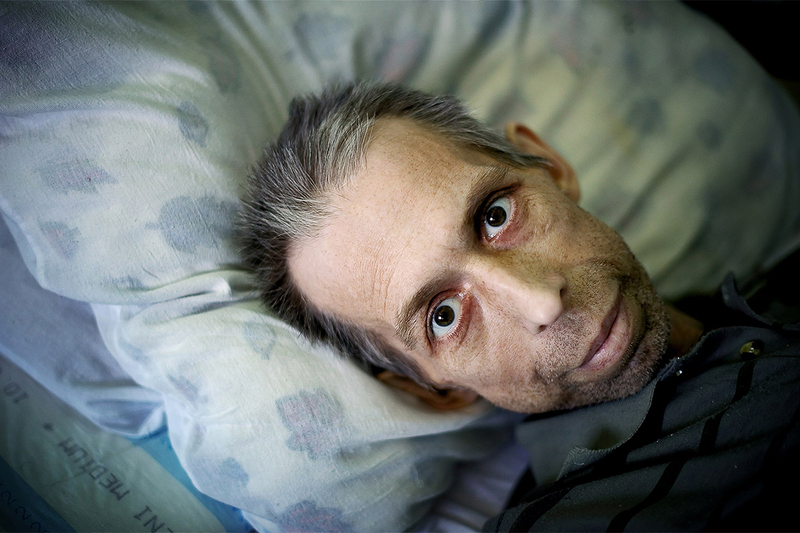 Elena Chernysheva, winner of the World Press Photo Contest, is the author of a documentary series shot in Norilsk between February 2012 and February 2013. 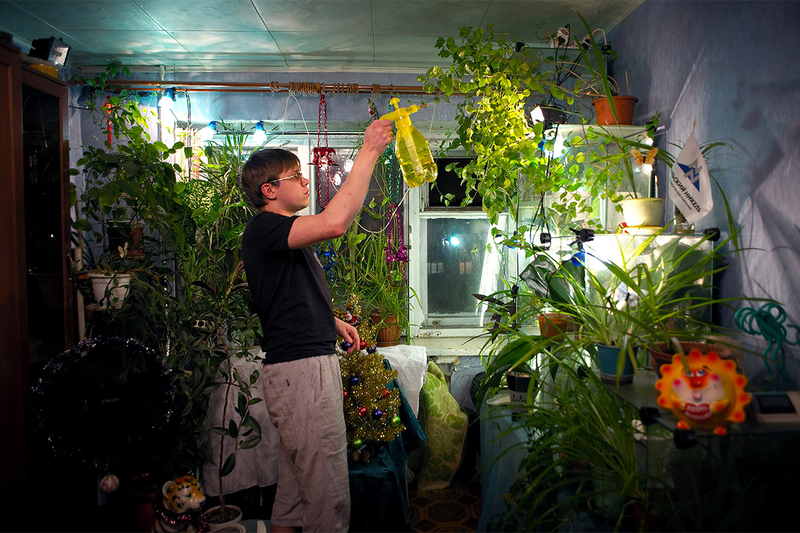 The lack of greenery, cold and snowy winters and poor environmental conditions compel locals to create gardens in their apartments. 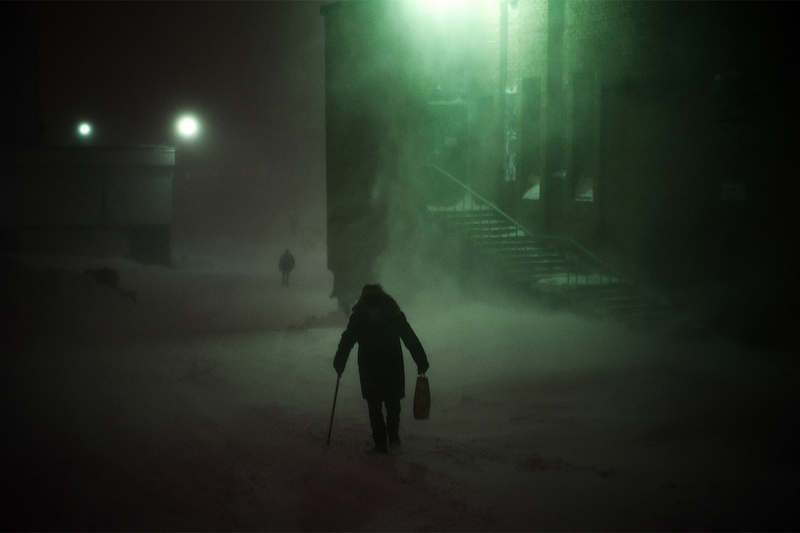 The “Days of Night – Nights of Day” Norilsk photo series is about the daily life of the inhabitants of Norilsk (2,880 kilometers from Moscow), a mining city north of the Arctic Circle with a population of more than 170,000. The city, its mines and metallurgical factories were constructed by prisoners of the Gulag labor camps. 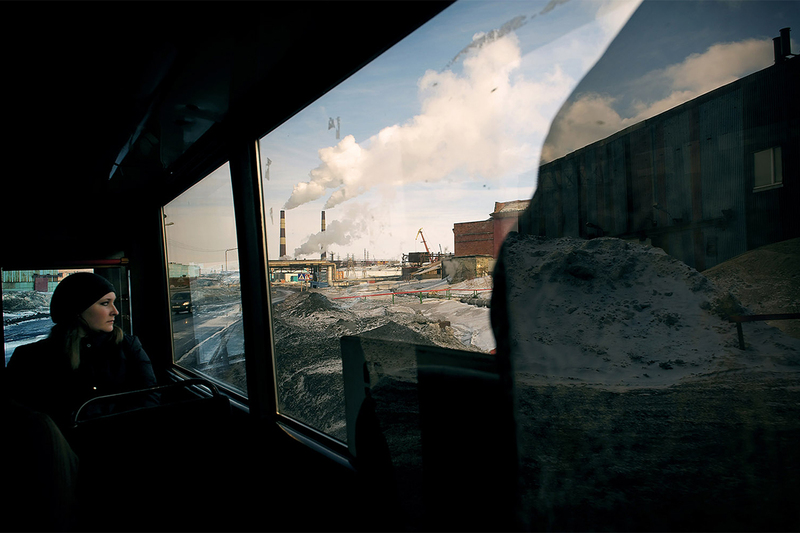 Norilsk is one of the most polluted cities on Earth. 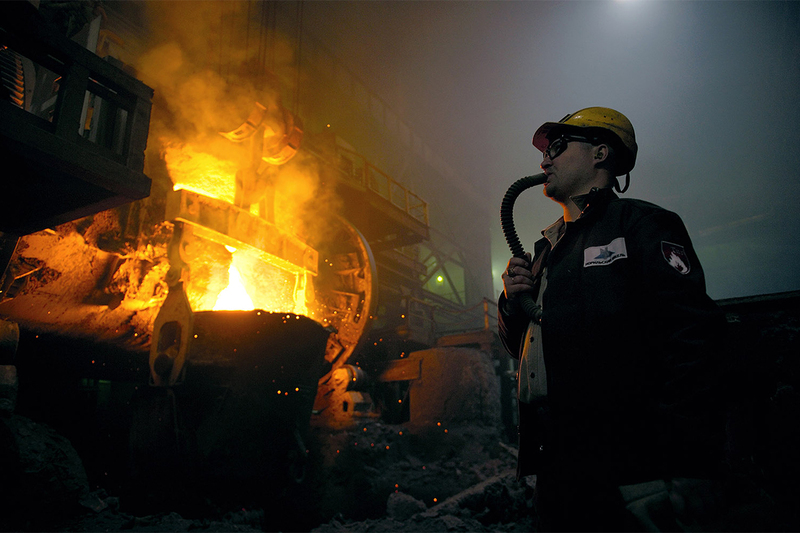 The company Norilsk Nickel owns three factories in the city. Now the company is working to solve ecological problems, but it is a fact that pulmonary, respiratory, cardiovascular and digestive diseases are widespread among local inhabitants. 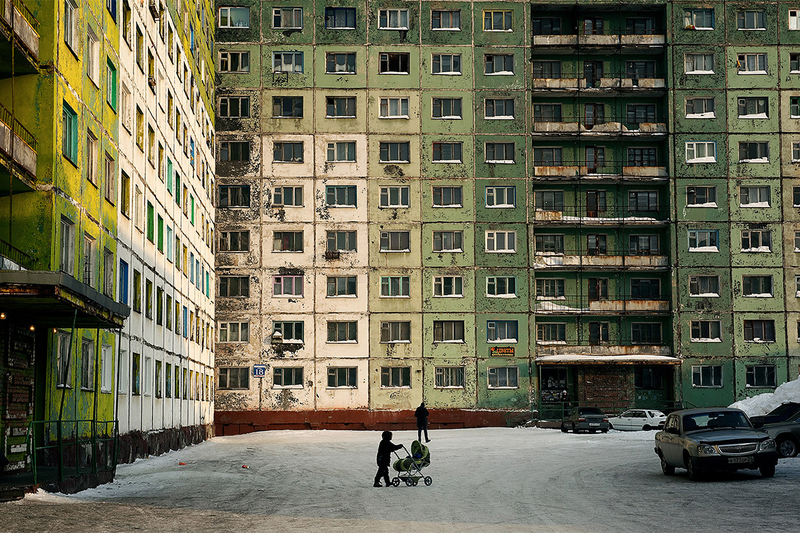 Buildings in Norilsk are situated close to each other in order to prevent strong winds in the residential quarters of the city. The majority of the buildings are built in permafrost zones and usually are constructed on piles in order to avoid a permafrost-thaw foundation failure. 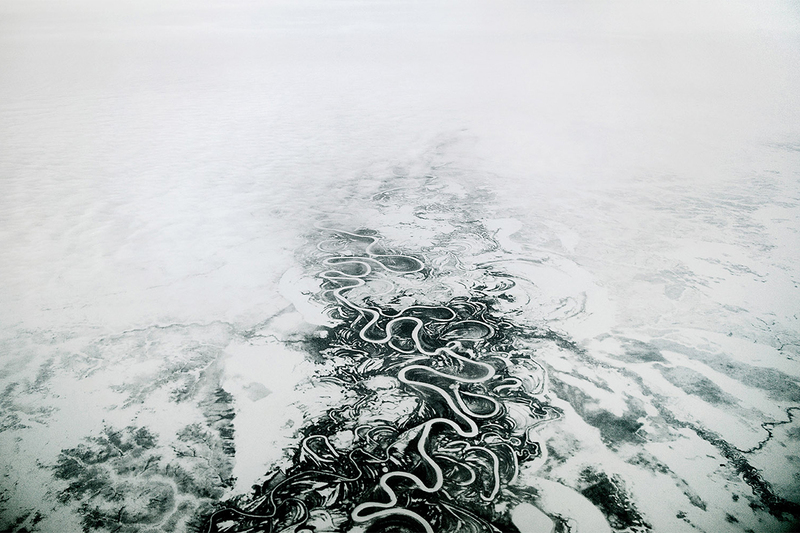 “With 60 percent of the present population involved in the industry, this documentary aims to investigate human adaptation to extreme climate, ecological disaster and isolation,” says Chernysheva. 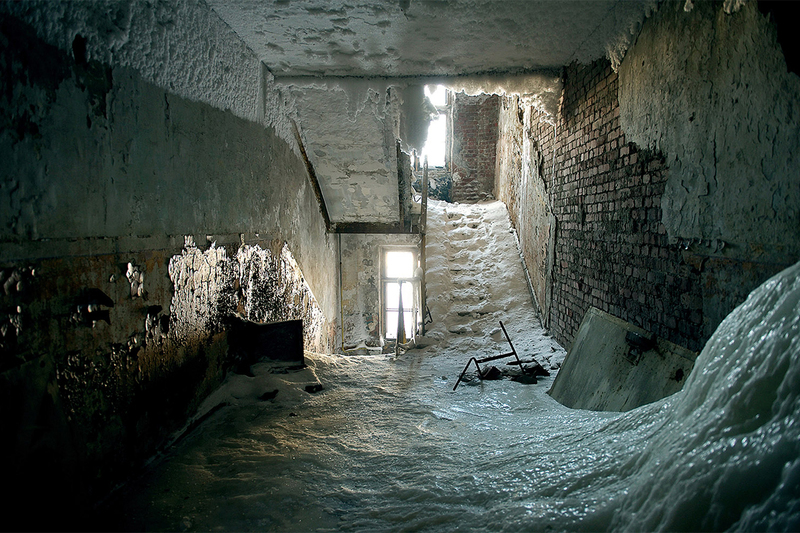 The average annual temperature is -10 C, reaching lows of -55 C in winter when Norilsk is plunged into a dark polar night for two months. The living conditions of the people here are unique, making their situation incomparable. Apartments here feature two windows, so the heat cannot escape. The sharp difference between the temperature inside and outside causes steam to condensate on the panes.